Various ministries in India have been urged to work in partnership with Community Radio for reaching out to the marginalised sections. Supriya Sahu, Joint Secretary, Ministry of Information & Broadcasting, in a workshop urged other ministries to work in partnership with Community Radio stations for the development of the last ‘people of the last mile’. She further added that the government is looking forward to set up 1000 community radio stations, with one station for each district. Sahu was speaking at the workshop titled National workshop on community radio for social change. Sahu also offered a trip to the interested ministries across the country for learning about the functioning of the Community Radio. She also assured of a single window clearance system so that people don’t have to run from pillars to post. She also talked about deploying a nodal officer to take care of various issues. “If different ministries have some specific media plans, I shall help them giving a shape,” she said. While speaking about ‘credibility’ of Community Radio Stations, she said a rigorous licensing process ensures required standards. She also talked about the possibility of online monitoring for Community Radio stations. “A Community Radio has to go through various ministries including Ministry of Home Affairs,” she said. 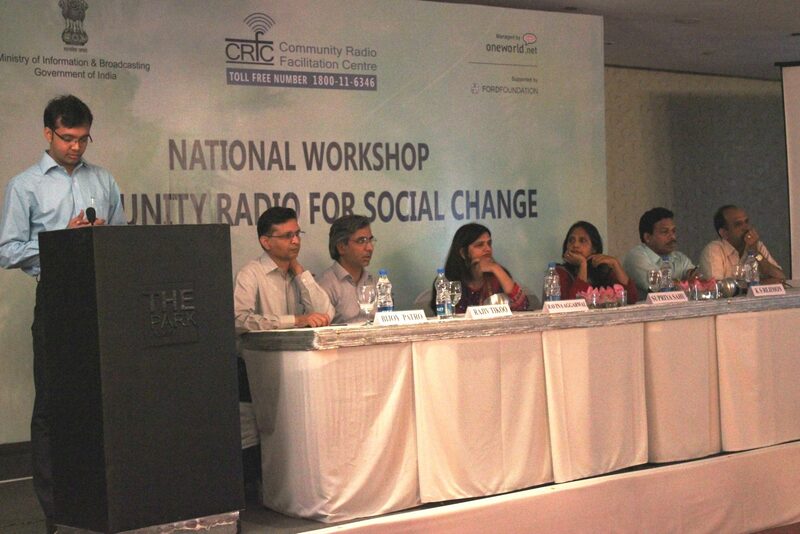 Ravina Aggarwal, Programme Officer, Ford Foundation, emphasised on the importance of Community Radio in providing access to information to the marginalised sections, people dwelling in the dense forest regions and slum areas. While delineating the journey of Community Radio, so far, K S Rejimon,Director, Ministry of Information & Broadcasting, said that 170 Community Radio stations are already operational while around 200 are in pipeline. He added that Tamil Nadu has the highest number of radio stations, followed by Uttar Pradesh and Maharashtra. He also emphasised the crucial role that stations could play in disaster management as was experienced during ‘Phailin’ in Odisha. Throwing light on some ministries presently working in partnership with Community Radio stations, Supriya said that the Ministry of Home Affairs is working with 10 stations and the Panchayati Raj with 25 stations. “Ministry of Agriculture and Consumer Affairs are also executing some project with these stations,” she said.